Friends of the National Botanic Gardens (LAE) continues to work in partnership with key stakeholders and interested individuals to advance the Lae Botanical Gardens through the delivery of the National Botanic Gardens (LAE) Advancement Program. The Program has not only restored the gardens for recreation and research purposes but has provided a space to welcome and educate Papua New Guinea and international audiences about some of PNG’s most diverse and resilient natural habitat. The once famous Gardens has had its pride restored through improved public infrastructure, plant life and access. Friends continue to seek support from businesses, government and the broader community to help continue to implement the ongoing program. 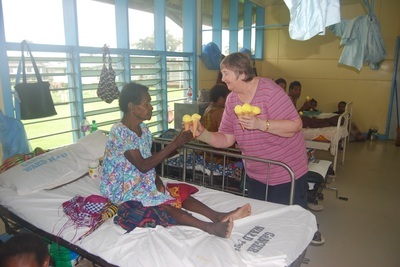 Playing sports and offering training to the young men of Suambu Plantation or spending time reading with the children from Haus Clare Children's Crisis Centre are just two ideas. 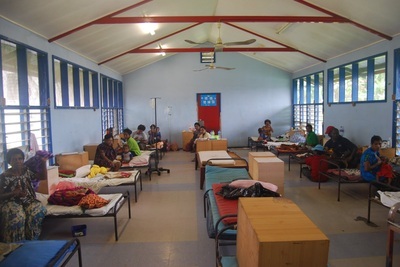 Please contact Lae City Mission to find out ways you can help others with your unique experience and skills. 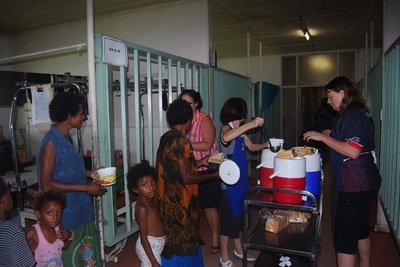 The Lae Lionesses provide kai pot, or soup and bread to the wards at Angau Hospital and they also do a weekly ice-cream delivery to the hospital. The club was chartered on the 26th January 1959 with an object to serve the community in and around Lae in Morobe province of Papua New Guinea. The club meets every Tuesday at 7:00PM at the Lae International Hotel.